MICK Price has advised punters to forget two-year-old Seabrook's last start ninth in the ATC Sires' Produce when assessing Saturday's Group 1 Champagne Stakes (1600m) at Royal Randwick. 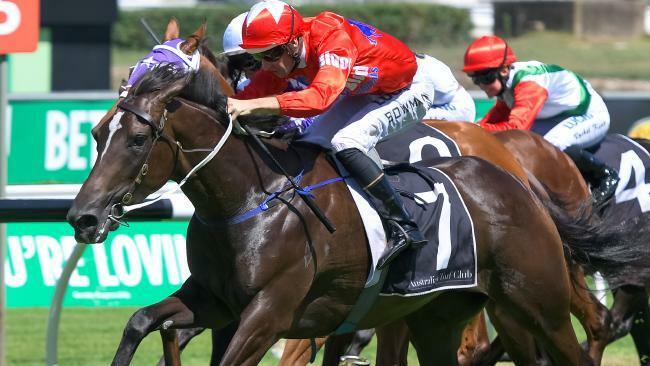 Price described the race as a non-event for Seabrook and punters have agreed with that assessment, with the filly installed as a $5 favourite by the TAB. "Damien Oliver said she was looking at the starter when they jumped and she came out sideways, and after that she never travelled at any stage," Price said. "If she had of run ninth and had every chance, she wouldn't be running (on Saturday)." Price said he would leave it up to Oliver how he handled her poor draw of barrier 12 in the field of 13. The trainer is confident Seabrook will run out the 1600m. "She's a beautiful type who is a nice athletic filly with great breathing capacity, and she's also out of a Don Eduardo mare. I think in the spring she'll be a Thousand Guineas contender," he said. Price said he would seek Oaks in different states with his ATC Oaks runner-up Hiyaam and third place-getter Miss Admiration. Hiyaam will head to Brisbane to run in the Doomben Roses (2000m) on May 12 and the Queensland Oaks (2200m) on May 26. Miss Admiration will go to Adelaide and run in the Australasian Oaks (2000m) on May 5 before lining up in the South Australian Oaks (2400m) on May 19. Price will also campaign consistent mare Oregon's Day in Queensland. She will run in the Hollindale Stakes (1800m) on the Gold Coast at her next start. "I'm keen to try her at a distance further than 1600m," Price said.